These Fastpitch Softball Pitcher Watercolor shower curtains are made from 100% polyester fabric and include 12 holes at the top of the curtain for simple hanging from your own shower curtain rings. The total dimensions measure appx. 71" wide x 74" tall. 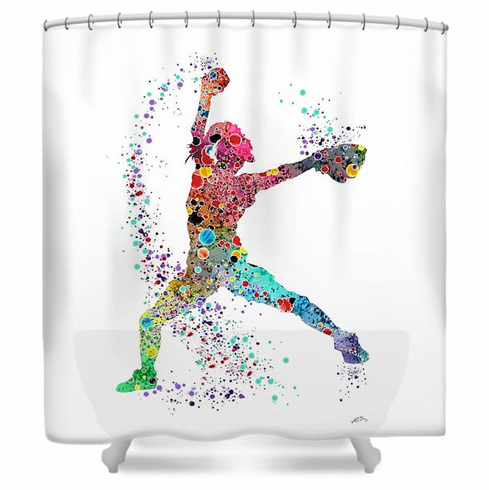 Fastpitch Softball Pitcher Watercolor Shower Curtains - design by Svetla Tancheva.